We have 53 titles from La Bibliothèque Fantastique's catalogue available for distribution at L.I.E. If you would like a copy please bring a CD or flash memory device to L.I.E and we will happily provide you with a copy of your chosen title/s. 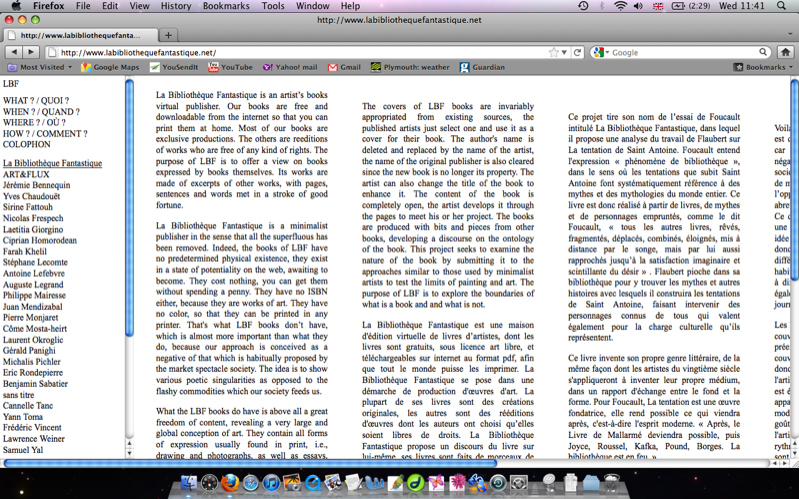 Printing-files can also be downloaded for free from the La Bibliothèque Fantastique website. 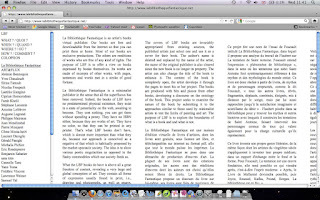 "La Bibliothèque Fantastique is an artist’s books virtual publisher. 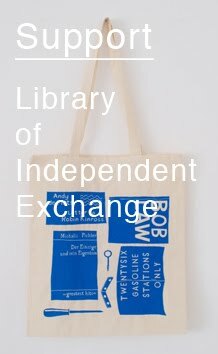 Our books are free and downloadable from the internet so that you can print them at home. Most of our books are exclusive productions. The others are reeditions of works who are free of any kind of rights."